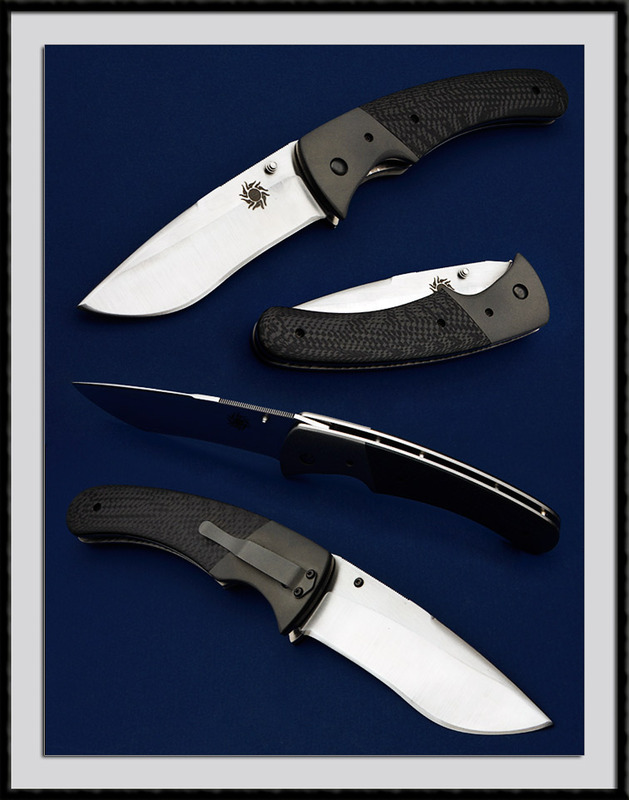 Brad Duncan crafted this large Tactical liner lock folder. S30V Blade steel, BL = 4 1/2", CL = 5 7/8", OAL = 10 3/8", Sand blasted Ti Bolsters, Ti liners, Carbon fiber scales. Fit and Finish are Top shelf. Condition is Mint.